Once you read this, you will wonder which type of dreaded ailments and diseases, can an APPLE not cure or improve! An Apple has been tried as an organic cure on many ailments but not on Diabetes. I suspect it is because of the implications to the patients already with high blood Sugar levels; some may believe that an Apple might increase sugar levels and could compound already acute problem. On the contrary, my experimental data shows that I could control Diabetes in myself and other Diabetics with great efficacy. I am not equipped to conduct large scale clinical trials. I request you to pursue this simple approach to curing Diabetes. So why not use this cure on Diabetes. All data given bellow is from authentic records and published in reputed Media/papers/Journals. Malic Acid- ATP production thereby improving body Metabolism, also useful for Brain, Bowels and Lever. With Magnesium it improves CFS.It is anAcidulant and Chelating agent. Pectin-Aids in detoxification, and prevents protein decomposition. 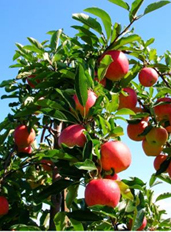 Apple has –Antioxidants, Phenolic compound, Flavonoides, Tannins, Salycilic acid,, Iron, Arsenic, Phosphorous, Amino acids, Soluble fiber, Rich in Minerals, Enzymes, Fatty acids- Mono-unsaturated and poly-unsaturated,Potasium. Acidity by changing it to alkaline carbonate. Reduces bad Cholesterol Cholesterol. Reduces Sodium chloride for Kidney. Prostate Cancer. Antiseptic for teeth Stops skinwrinkles. Tones up weak and rundown condition. Promotes Hair growth. Reduces sour fermentation. Bladder Cancer. Malic Acid and Tartaric acid playing roll in KREBs cycle. and benefits in sedentary life. Finish researchers report that components found in apples may keep the Doctor away by reducing the risk of many chronic diseases including ,Heart Disease , Cancer , Stroke ,type II Diabetes and Asthma. [ American Journal of Clinical Nutrition,2002,76:560-8]Scientific Research Demonstrates the Health Benefits of Apple Products. Intak e of flavonoids and Lung Cancer. [Journal of National Cancer Institute.2000.92 :154-160]. Flavonoid intake and coronary mortality in Finland. : A cohort study . [[British Medical Journal 1996.312:478-81.